Instead of advocating a more level playing field in all college admissions, some exploit the scandal to justify and even increase their own pet forms of biased admissions preferences. This week, no story gripped Americans’ collective attention more than "Operation Varsity Blues" revelations that celebrities and wealthy parents lied and bribed their children’s way into elite colleges over the past decade. Pardon our guffaws, however, when people who advocate different but equally unfair admissions practices suddenly profess anger about the admissions bias exposed by Operation Varsity Blues. Elizabeth Warren, who has manipulated her ethnic identity throughout her scholastic and professional career for her own advantage, provided a particularly comic example during an MSNBC interview when she thundered that she felt “zero” sympathy for those involved in the admissions manipulation scandal. But the race-based admissions preference he and others advocate merely offers an alternatively rigged regime. What the pay-to-play admissions scam does not demonstrate, however, is that “legacy” admissions are somehow more corrupt than race-based affirmative-action admissions policies – which seems to be the primary lesson that left-wing commentators and politicians are taking from the scandal – or that meritocracy is a “myth” that has now been debunked. Racial preferences are a far more significant deviation from academic meritocracy than legacy preferences, which are not even implicated in the current scandal. An underreported but salient detail in the Singer scam is that he “falsified students’ ethnicities,” according to The New York Times, because “some families and students perceive that their racial backgrounds can hurt or aid their chances of getting in to schools that consider race in their admissions decisions.” This is not a mere perception; it is the truth. The claim that blacks are disadvantaged in college admissions, especially compared with legacies, is false… At Harvard … blacks get a bigger boost than legacies, despite lower academic scores. In fact, the boost from being black is so strong that Harvard limits the contributions of non-race factors to a black applicant’s composite admissions rating. 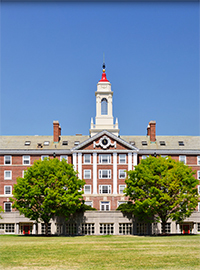 Just being black quadruples your chances of admission at Harvard… Test scores and GPA that would give an Asian only a 25 percent chance of admission at Harvard would be a virtual admissions guarantee – 95 percent – for a black student. The good news is that most Americans understand that Operation Varsity Blues represents only a small sampling of college admissions policy unfairness. According to a Rasmussen Reports survey released this week, just 20% of respondents consider university admissions processes “fair and honest,” with 69% stating that the scandal merely indicates a broader pattern of unfairness in the process. And according to a separate Rasmussen survey, 53% prefer that colleges base admission decisions purely on merit and qualification, versus just 37% who advocate preferential admissions practices. In any event, Americans shouldn’t be deceived by those who contort the Operation Varsity Blues revelations for their own ideological purposes. Americans aspire to a system that respects the dignity of individuals, rather than rewarding or punishing them on the basis of various group identities over which they have little or no control. Accordingly, criticizing one form of rigged admissions preferences while advocating another form is intellectually and morally indefensible. So rather than perpetuating or exacerbating unfairness in college admissions, Americans should demand an end to bias in all of its iterations.